Darren grew up watching his grandfather and father care for their patients at CDS #7 and CDS #10. 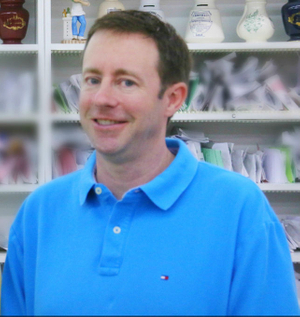 He decided to continue the family legacy and become a 4th generation pharmacist. He began helping his dad at CDS #10, delivering medicines, while attending Western Kentucky University. He graduated from the University of Kentucky College of Pharmacy in 1999. Darren and his wife, Jane, have two children. In addition to spending quality time with his family, Darren likes to hunt and fish. He also likes to follow his favorite sports teams: UK and WKU basketball, the Dallas Cowboys football and the Boston Celtics.